I recently mentioned that one of those "difficulties" for us has been paper products in the kitchen. My husband is obsessed with them and has been quite reluctant to give them up over the years. He constantly gives me a hard time as do most of my friends and family about not allowing things like paper towel, napkins, or plates into my house. Thankfully, after quite a bit of persistence I've gotten everyone to just accept this is the way it's going to be and I truly believe they are in favor of the change now. 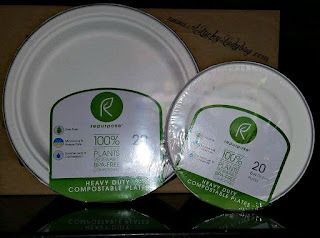 I was recently contacted by the brand Repurpose®, which provides a line of sustainable tableware. 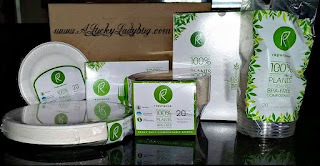 Of course I quickly agreed to work together as I felt like this might be just the reward to share with my family for "Growing into Green" together! I was sent over a wonderful variety of products to test which included their Clear Cold Cups, 6" and 9" Plates, Bowls, Utensils Combo Set, and Insulated Hot Cup and Lid Set. 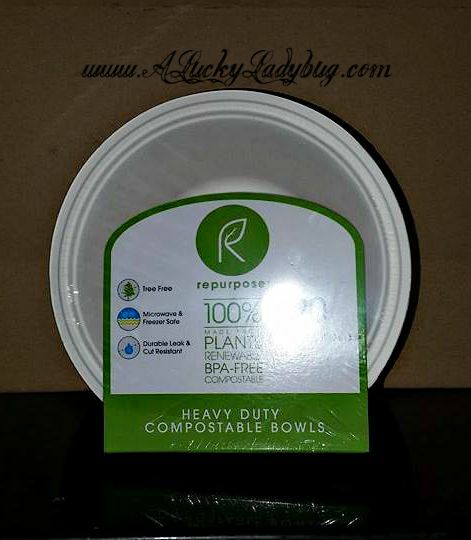 "Repurpose’s cups, bowls, plates, forks, spoons and knives are made from corn, sugar and bamboo" Each ingredient is from a readily available renewable resource and are 100% compostable. None contain harmful chemicals such as BPA, Chlorine, or Petroleum, and use only soy-based inks. 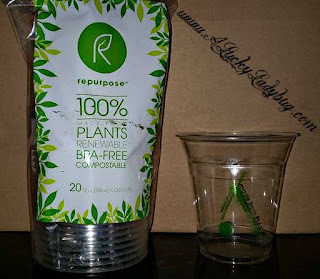 If you are unfamiliar with the affects of plastic on the planet, the statistics involving our increased use of plastic, and the harmful effects of the chemicals used in these products, I highly recommend checking out Repurpose's FAQ where there is a ton of info I wasn't even familiar with. 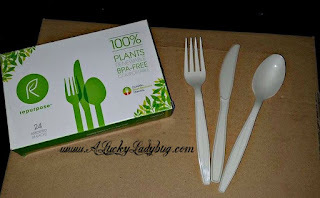 I love that even though these products are made from items you'd expect not to hold up when wet or warm, they actually work the same as any other plastic, paper, or Styrofoam product you would normally use. 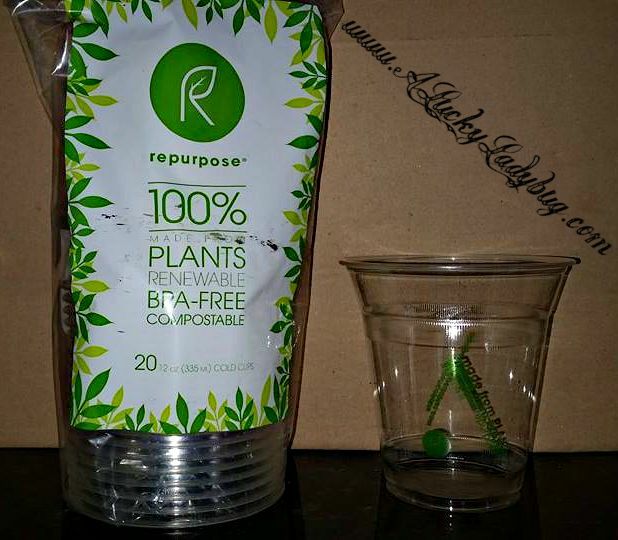 Each product held true when we added foods and beverages of all kinds. 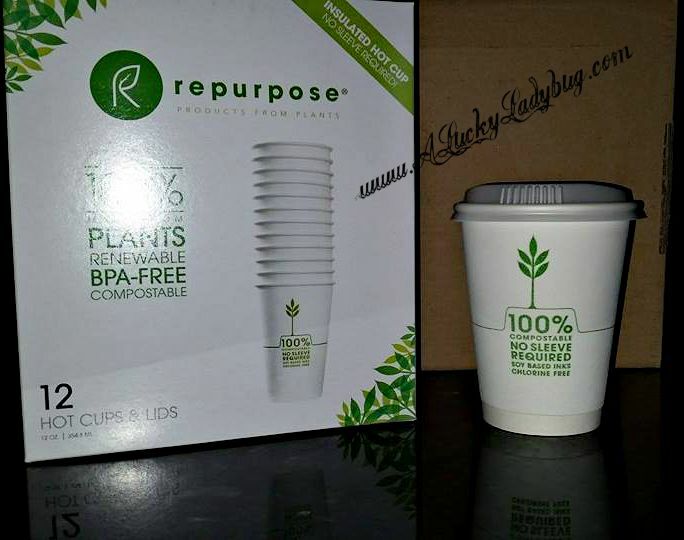 The best part...each can be composted in 90 days! Recommendation: You would normall pay the same if not more for a paper, plastic, or Styrofoam product at your average retail store, so yes of course I recommend these products. Not really a question there as to what the better option is in more ways than one - saving money, saving earth resources, saving waste, etc.